The anniversary of the United States Constitution passed by relatively unnoticed last week, but politics as usual went along apace. 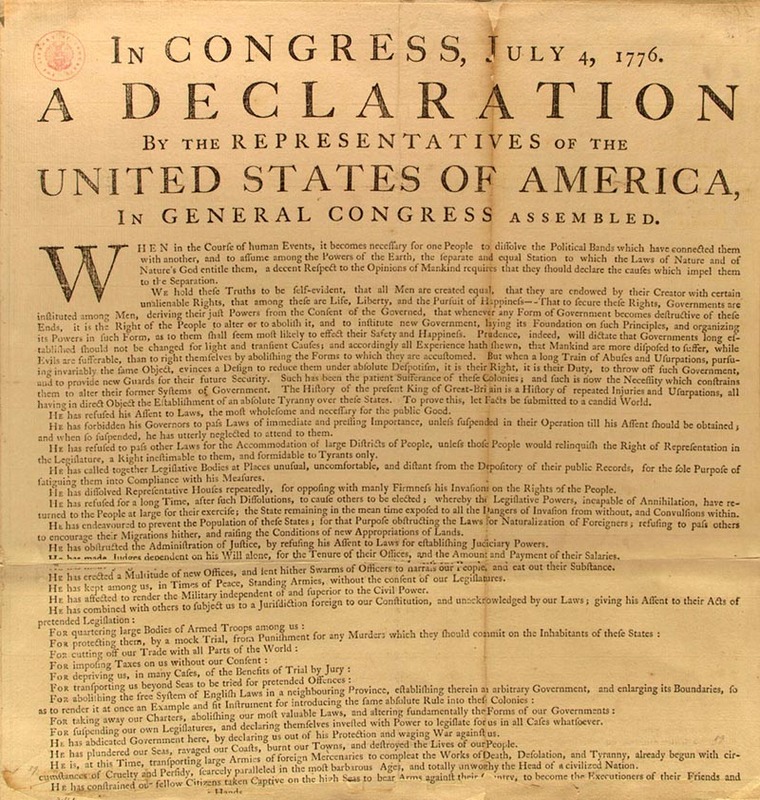 That marvelous document – born of discontent that sparked revolution, and which was followed by discord, debate, trial and error, and ultimately yielded triumph – set forth a form of government unheard of in human history. It created a government empowered by the people, a government that expects and depends upon people of integrity following the rules, because doing so benefits the whole of the American people. It is a form of government designed to operate above the muck and mire of petty politics. A nation so constituted is obligated to the people that empower it to operate efficiently, responsibly, honestly, and to identify its mistakes, own up to and bear responsibility for those mistakes and take steps to assure that those mistakes are not repeated. This element is never more important than when government failure results in the unnecessary loss of life of Americans serving their country. Such a government and the people of integrity that operate it do not allow political considerations to prevent the truth from being found. It requires people in government, whether put there as an act of faith through the electoral process, or whether put there as hired hands, all work for the people, and all owe a duty to the people to act lawfully and with integrity. Anything less is treasonous, perhaps not by the letter of the law, but certainly in the spirit of the law. As that revered date passed by, so did another: a date marking the terrorist attacks on New York and Washington on Sept. 11, 2001, and the terrorist attack on the U.S. consulate in Benghazi, Libya in 2012. We well remember the first of those dates, when Muslim terrorists hijacked four airliners and crashed two into the World Trade Center, one into the Pentagon, and passengers scuttled the fourth before it could reach its target, but these acts resulted in killing nearly 3,000 innocent people. Not since Pearl Harbor had the United States seen an attack of such magnitude. The Benghazi attack occurred on the watch of President Barack Obama and Secretary of State Hillary Clinton, neither of whom has any appetite for providing answers to the several serious questions about security failures that they are obligated to provide to their bosses, the American people. The tragedy of Benghazi resulted from a grossly failed episode of government that puts some public servants in a very, very bad light. But people who put good government above sordid political concerns understand that the many unanswered questions of Benghazi deserve –require – answers. Honest and complete answers. Mrs. Clinton’s shameful response to a Congressional committee, “What difference, at this point, does it make?” simply does not cut it. And the longer Americans are left wondering which of the public servants in our government made decisions, or failed to make decisions, that led to the murder of four brave Americans serving their country, the more tawdry details leak out. In a lengthy story for the Daily Signal online, Emmy award-winning investigative journalist Sharyl Attkisson reported that as the House Select Committee on Benghazi prepared for its first hearing on the scandal last week, former State Department diplomat Raymond Maxwell alleged that confidants of Hillary Clinton took part in removing some damaging documents before they were turned over to the Accountability Review Board investigating the security lapses prior to and during the terrorist attacks on the consulate. Mr. Maxwell said that he observed boxes and stacks of documents, and that a State Department office director, whom he said was a close advisor to Mrs. Clinton was there. The office director actually worked for Mr. Maxwell, but he said he was not consulted about her working on this weekend assignment. The office director explained that the assembled staff were to go through the stacks of documents “and pull out anything that might put anybody in the [Near Eastern Affairs office] or seventh floor [where the Secretary of State and top advisers are] in a bad light. These State Department employees were more concerned with following orders than with acting honorably and legally, something that should concern everyone. For that reason, and for the memory of those four brave Americans that died needlessly, we must pursue the truth about Benghazi.